Keeping suit with the news app releases, MTV News has entered the mix bringing you all the pop culture news to your Windows Phone. Now I haven't followed MTV since the days they actually play music videos and Martha Quinn was a VJ. MTV News was a fifteen second plug that appeared at the top and bottom of the hours in between videos. MTV News also has live tile support and push notifications. 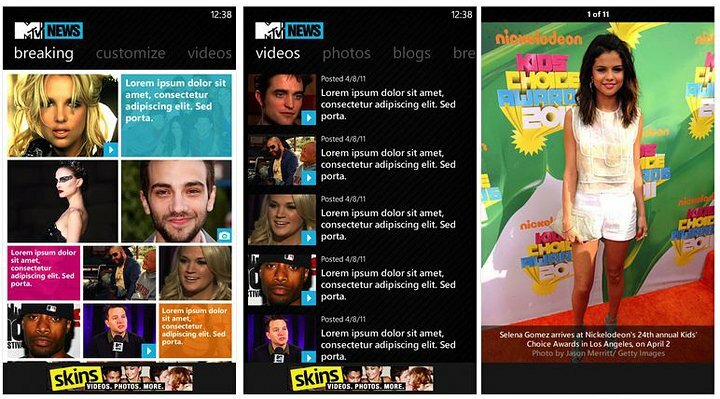 MTV News is a free, ad-supported app that you can download here (opens Zune) at the Marketplace.